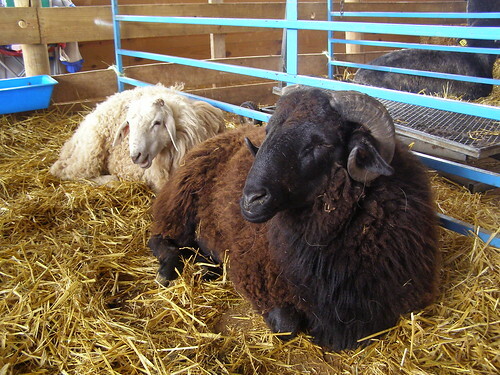 maryland sheep and wool was great fun, although it does always give me a slight headache. so many people! 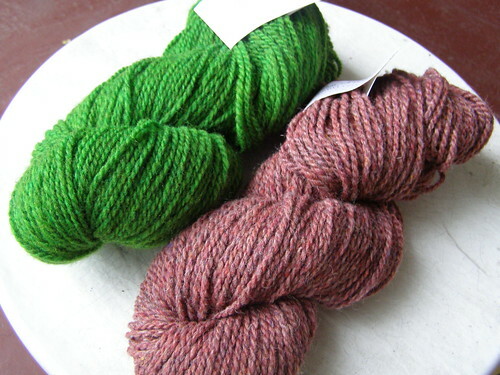 watched: sheep to shawl – quick! there’s no wikipedia entry on this! conversed: with an older farm woman who wanted sheep smaller than suffolk because she was sick of getting butted by 300 lb rams. who can blame her? she was considering jacobs. splurged on: a bit of yarn from green mountain spinnery and a needle gauge i’ve wanted for a while. saw: the ravelry founders in the parking lot of my motel, along with this lady, and this one, and this one i believe… and a bunch more people i did not recognize, and what were they doing? i think maybe re-enacting michael jackson’s thriller. i kid you not. i was in a car nearby and felt a bit like the uncool kid and a bit like a stalker. bought: corriedale from my corriedale lady. her corriedale is so soft and fluffy. it makes me happy. considering: a road trip to rhinebeck with the same group – my friend rachel and her mom. lusted after: a knitting bowl. took pictures of: sheep, sheep, and only sheep. said hi to: mia, paula, my friend maria from SOAR, and anne who met at tnna last year if you remember. and now i see her everywhere :) gotta love that. she’s quite lovely and a fabulous designer. missed: seeing mel, rachel-marie, and tara who were all there. next time! lugged around: a freaking heavy gallon of eucalan that i was so pleased to find. 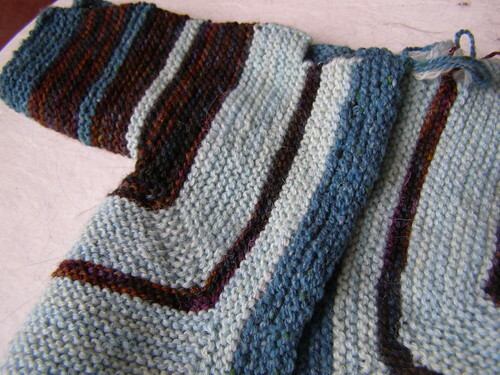 knit on: baby surprise jacket number one – three more to go! This entry was posted in community, cosyknitsliterally, cosyspins, farms by cosymakes. Bookmark the permalink. I also spotted Amy of Knitty and didn’t have the guts to say hello. I think I also got corriedale from your corriedale lady and dropped it off at Ohio Valley for processing (at her suggestions). I wish I could have been there, it sounds like it was a lot of fun! oh, how i wish i could have gone, but i had an event this weekend. 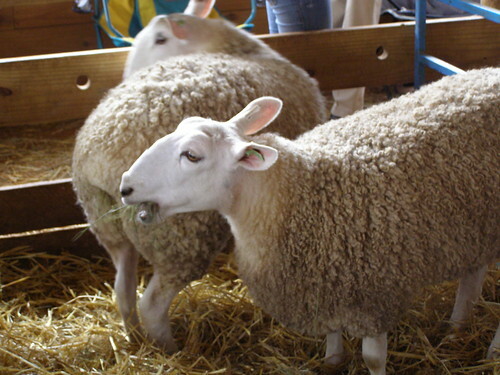 big crowds make me a little headache-y, too, but i was hoping MD would be my first sheep and wool…oh, well! there is always MA at the end of the month. i’m determined to make a wool fest happen before i leave for the other coast! I’m so sorry I didn’t make it! I did have a good excuse though. I couldn’t let Sheeps and Wools take precedence overy my new cutie patootie nephew. I’m sorry I missed you though! Lots of love, and Hugs! I hope to see you at Rhinebeck! You would have been more than welcome to join in the thriller ridiculousness! Sounds like so much fun! Maybe we’ll see you at Rhinebeck then?? came across you on ravelry. love your work and color choices. you’ve got a great eye for colors-you make me want to own a spinning wheel. I was there on Saturday too…can’t believe I didn’t run into you at some point! oh! I watched a sheep to shawl competition on tv the other day, amazing stuff! oooo yes, come to rhinebeck!!! I thought I saw you at the festival in the Main building, but I wasn’t sure, so I didn’t say hello. Now that I saw this post, it confirms that you were there. I wish I would have said hello. Awww! I wish you’d joined our Thriller shot! We were actually a little lopsided and I would have been honored to have you in my zombie army! Oh! You should have joined our Thriller shot! And then I would have freaked you out by talking in great and drooly detail about every pair of mittens you’ve ever made. That knitting bowl is awesome! Where is the gauge necklace from – that’s pretty super too! I was just browsing about, reading this post and then, “Hey! That’s Cedar’s incredibly cool cedar sweater!” Just had to make a note as the happy recipient. Cedar wore it with pride all last winter, well after it didn’t really fit anymore. He wore a pumpkin knit hat with it. Thanks again! It is beautiful!